A quick view of the most influential metrics in The Highlands. 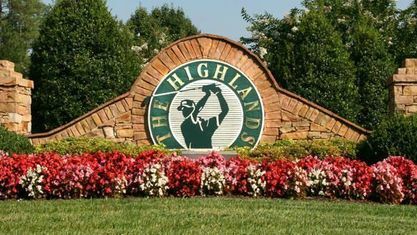 The Highlands Subdivision in Chesterfield VA is a waterfront community with an 18-hole championship golf course and 65 acre lake, located near Beach Road. Home lots range from one to five acres. The Highlands community is conveniently close to a variety of restaurants, shopping, and just minutes from Route 10 and Interstate 95. If you enjoy friendly well-kept neighborhoods with one or more acre lots, a golf course and country club, The Highlands Subdivision in Chesterfield VA 23838 may be the ideal location for your family. Take a drive through this community and see if it is a good fit for you. Call us for an appointment…why rent when you can buy for less?! The Chesterfield County Public Schools for The Highlands community are Gates Elementary, Matoaca Middle, and Matoaca High School. The Highlands buyers, learn more about our Cash Back Rebate program! As always, call us at 804-935-8519 so we can discuss your Chesterfield VA real estate needs. View our selection of available properties in the The Highlands area. Check out the latest demographic information available for The Highlands. Get to know The Highlands better with our featured images and videos. Browse through the top rated businesses in the most popular categories The Highlands has to offer.